ZipID’s Sean Simmons and Dave Fleming had never worked in finance before they developed innovative solutions to help streamline loan approvals by focusing on the verification of identity. James Mitchell finds out how these outsiders helped identify a simple solution to a widespread problem. Q: What is ZipID and how does it help mortgage brokers? Sean Simmons: ZipID is two things. Both of them are face-to-face identity services. One solution sees ZipID act as the ID agent for brokers or lenders. We operate a national agency service that can go out and see borrowers at home or at work, Monday to Saturday. We call that our ‘come to you’ service where, instead of people having to go to a branch, or a post office, or a JP [Justice of the Peace], we can now send a trained representative out to conduct the ID check using our technology. That service is really useful for brokers and clients who are interstate, for example. 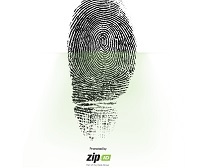 After ZipID’s launch, a lot of people started seeing that the technology that we use to capture the ID and to securely deliver the supporting documents could help brokers do it themselves. And that is our second solution – a mobile app that allows mortgage brokers to more simply and safely complete the ID check themselves using their smart phone or tablet when they meet with their clients. That removes rework and delays. Q: How did you come up with the concept of providing ID checks for mortgage brokers? Sean: Three years ago, the law changed in Australia towards imposing face-to-face ID checks on property deals. That hit mortgage brokers, lawyers, conveyancers and banks. We looked around and saw that it was a thorny issue. There was too much reliance on paperwork and hassle all round. It was slowing deals down. It was creating risk; all of a sudden, brokers and lenders were at risk if they didn’t have a safe ID check and they could end up wearing the loss if hit by fraud. People were trying to deal with it by using channels like the post office or having to go into a branch and we just saw that it was a real burden to do the ID check. So, we thought we’d do something about it. Dave Fleming: As we dug into the issue, we learnt from banks that the fragmented ID step in the loan application was often the number one cause of rework arising from supporting documents. It’s differentiation where it shouldn’t be and doesn’t add any value. Q: Did you have any previous experience in the finance space? Sean: None at all, other than as consumers. We started out with a team of six founders based in Brisbane and we came from different backgrounds. Some of us were from e-commerce, some were from legal roles, some were from software development. Many of us had previously worked at Wotif.com. Together we saw that if we could bring some digital solutions to this that had a high level of consumer convenience and compliance, we had something new and unique to offer. Q: How has the company developed since then? Dave: Just over 18 months ago, ZipID including our team was acquired by Veda. That has really given us a strong presence among bank and financial services customers. Over the last three years, a key learning for us [has been] around how the role of brokers in financial services continues to grow. It’s a much bigger role now than it was three years ago, and brokers are left bearing the brunt of compliance including ID checks. That’s where much of our energies are now focused: around making life easier for mortgage brokers. Q: How have you found the mortgage broking industry? Was it difficult to navigate? Sean: Our whole team came from outside the industry. We had deep expertise in fraud, cybercrime retail e-commerce, marketing and law — those were the areas our team came from. But none of us were bankers or brokers. When we came to study the value chain, the approach we took was to start with the consumer and work backwards from there. That’s the whole guiding method of ZipID — to think about the actual person being identified. Identity verification always involves a person. And no one ever gave enough thought to the experience for that person. We later extended our analysis to improving the experience for brokers who play the key role meeting with consumers. What we saw was that for a person to get a successful home loan, they had to engage with a broker, the broker had to engage with an aggregator, the aggregator had to engage with multiple lenders, and the lenders had to engage with regulators. Over the last three years, we formed deep relationships with all of those groups in the value chain and they’re all equally important. It’s a very interlinked system. Q: Is the ultimate goal to create an ID standard that can be used right across the industry? Sean: That’s a realistic goal we’re working towards. One of the phrases we use is: ‘ID done once. Done right.’ It’s a lender-agnostic solution. As a broker undertakes their assessment and fact-­find with their client, they don’t want a speci­fic ID form or solution for bank A, and equally don’t want a work‑flow or policy that’s going to be different for each lender. What they really want is flexible solutions that enable the loan application to be progressed quickly without issues. Lenders are recognising that if ID could be made easier and more efficient as a standard, they can compete on other things rather than on clunky compliance policy processes. So, we think that every layer of the value chain recognises that some greater standardization is in everyone’s interests. Q: Have you had much support from aggregators? Sean: Yes. AFG, and then Connective and Vow Financial have been early adopters and have provided great support as partners. Aggregators know very well that ID policies and ID supporting documents are one of the number one pain points for brokers. Aggregators are in a competitive market as well. There’s lots of aggregators and they have to deliver value adds for their members. And they’re actively responding to the call for members to make things easier, faster, more efficient and aggregators are taking the initiative here. We’re seeing the aggregator community being partners in innovation. They’re very much assisting not only our distribution to brokers, but they’re assisting the go-to market with lenders to support this. Q: Are there any banks that have really backed ZipID? Sean: ING DIRECT were the initial champions of the ZipID ‘come to you’ (agency) service, with Macquarie the ­ first users of the ZipID mobile app. They’ve each utilised our innovations for a couple of years and both use our service models in their direct and broker businesses. They both saw the speed and quality bene­fits of ZipID to all involved – broker, customer, and of course themselves, as lender. We now have a growing list of 16 other lenders in various stages of using our services. More recently and very excitingly for us, NAB and Advantedge started a trial. 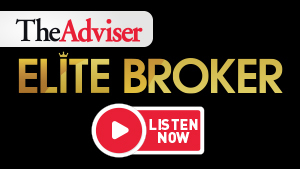 Q: How much do brokers have to pay for the service? Sean: Our market model for the ZipID app is that funders pay for ZipID Report, not brokers. While brokers do bene­fit here, it’s ultimately the safe compliance for funders that we deliver. We provide options for either broker pays or lender pays for our agency service. Q: How has ZipID been received by brokers? Sean: We also saw a similar level of interest across the Connective state conferences in November and December where we presented. It’s exciting to hear how we can help brokers and con­firms to us there is a problem that needs solving.